This is pretty wild: For any McDonald's lover who's ever wished he could store his McFlurry, or any other drink, for that matter, inside a cooler built into the couch -- this is the giveaway for you. McDonald’s is partnering with La-Z-Boy to give away a couch designed to enhance the at-home TV-viewing experience. Called the McDelivery Couch, one person will win. Two coolers in the dual center consoles chilled at 33 degrees, designed to keep McFlurrys and other beverages cold. Seats that are adjustable with the touch of a button and have power backs, leg rests and headrests. 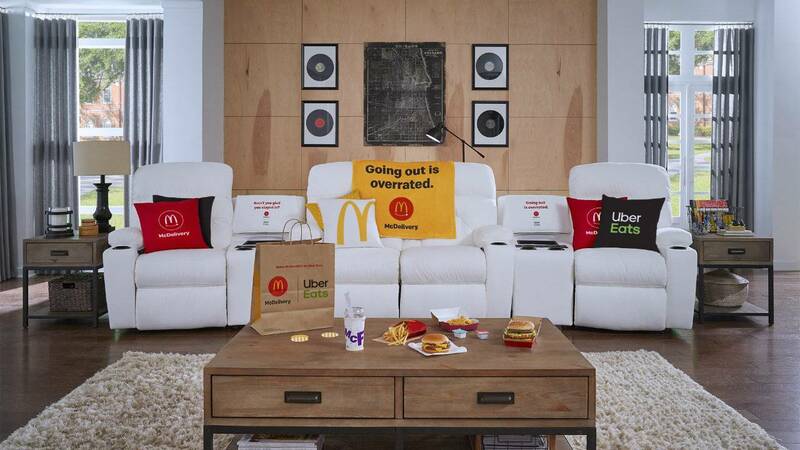 To enter the contest for the couch, fans can tweet about their favorite "McDelivery with Uber Eats" item, tagging #McDeliverySweepstakes, @UberEats and @McDonalds. The contest runs until April 8. Is this crazy or wonderful? You can be the judge!